The most beautiful thing about learning is that, no one can take it away from you. But learning alone cannot bring about a complete development in our lives, their practical application plays a major role too. For this sole purpose, symposiums are held which provide opportunity for the student community to gather deep knowledge about a particular field. Symposium comprises of various events which are both technical and non technical and also several workshops. 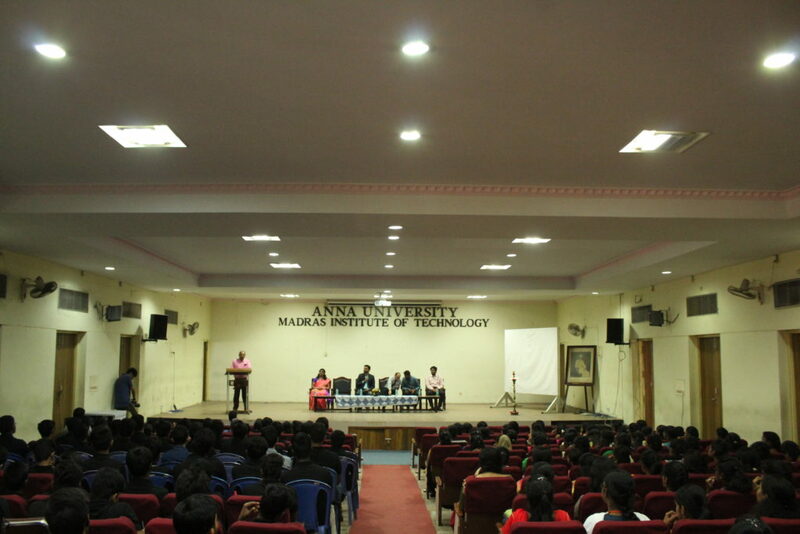 Worldwide such symposiums are being held at countless institutions under various banners.One such is Samhita,dedicated to the field of Information Technology. Samhita is a student organised National level technical symposium, for all students across the country. Samhita provides students an effective platform to seize their technical powers and challenge their knack for coding, hacking ,designing and so on. Samhita aims at enhancing the connectivity between industries and students by conducting technical workshops, technical and non technical events and providing internship opportunities for the deserving ones. “The beginning is the most important part of any work”. Abiding by this thought, the Inaugural ceremony took place in a memorable way. The department’s magazine, virtuoso was launched by the Chief guest Mr. Sundar Thiyagarajan, which was followed by an inspirational speech on developing domains in the field of Information Technology. Around 9:30 AM, various workshops planned for the day began, which included Blockchain workshop organised by DTCC, Android workshop organised by Dine out, Placement workshop organised by Amazon. Students in humongous numbers from various colleges turned up for the workshop. The concepts framed for the workshops were greatly useful and gave an insight about the field. Not only workshops, but also challenging technical events, and fun filled non technical stuff kept the us all inquisitive throughout the day. Technical events include OSPC, Paper presentation, debugging, reverse coding, DB Master, web<o>philia, code obfuscation, alwiz, bash it, silicon valley, code medley, mini-bytes,Bit Coding, crypt-o-mania, and coffee with Java. Samhita’s amusing non technical events included gaming, general quiz, IPL auction, and Math-o-mania. Day 2 was no less in learning and entertainment when compared to Day 1. Day 2 included workshops like Python workshop organised by Xome, Ethical Hacking workshop by ZOHO corp, Machine learning workshop by Google developers group, and Placement workshop by Amazon developers. Simultaneously, Treasure hunt and Connections proved to be rejoicing. Our enthusiastic students participated in all events and the winners were recognised. Experience is the best teacher in many virtues of our lives. 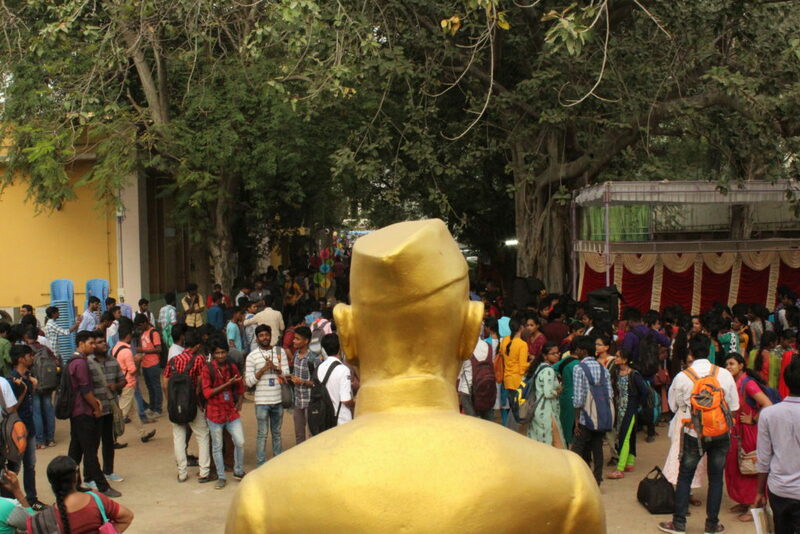 The last but the most memorable part of Samhita was the alumni meet, where students united with their t-series (technocrat series), spent quality time, listened to their experiences and dined with them. 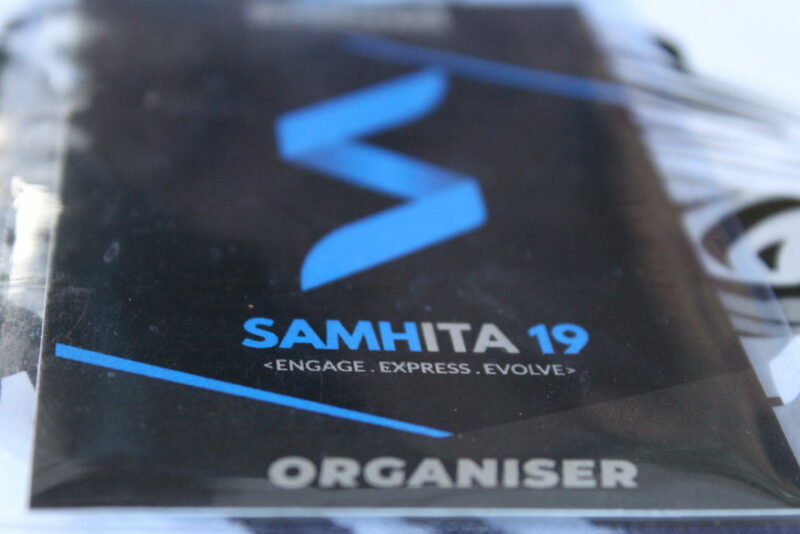 Finally Samhita’19 came to an end with lot of learning experiences and memories that will be cherished for a lifetime. Reported by: Akshayarathna Anandakumar, Poovithal Rama, first year, Information Technology. Photographed by : Saran, third year, Information Technology, Hari pragadhesh, second year, Information Technology.